With its long tradition of banking and finance, Switzerland is one of the leaders at the international level in the asset management industry. Swiss asset management constitutes one of the main pillars of the Swiss financial centre. The asset management industry in Switzerland is heterogeneous and applies different business models. Large banking institutions active in wealth management (private banking) coexist with a number of smaller niche players. Independent asset managers represent the lion's share of the para-banking sector within the Swiss financial industry, with a limited level of regulatory oversight for the time being (see Section V.i on the future legislation regarding financial institutions). Current challenges to the asset management industry in Switzerland include a wave of new regulatory activity spurred by the 2008 financial crisis and regulatory developments occurring at the EU level. The Swiss legal and regulatory framework is being adjusted on an ongoing basis to ensure its euro-compatibility to keep it in line with international standards and to enhance the protection granted to investors. fund administration companies; and managers of collective investment schemes (CISs). Switzerland is not a Member State of the EU; therefore, EU rules and regulations do not apply directly to financial services activities conducted in Switzerland. With the exception of general rules that apply to all asset managers in Switzerland (see Section II.i), the conduct of asset management activities is subject to specific regulations only where such services are rendered in connection with a CIS (see Section II.ii), or involve the trading of securities (see Section II.iii) or the management of Swiss pension funds assets (see Section II.iv). In light of its practical relevance, we further set out an overview of the rules applicable to the distribution, in or from Switzerland, of interests in a non-Swiss CIS (see Section II.v). Contrary to the situation prevailing in a number of other jurisdictions, asset management activities are not, for the time being and as a matter of principle, subject to prudential supervision in Switzerland unless these activities are conducted in connection with a Swiss or non-Swiss CIS (see Section II.ii), the asset manager is characterised as a securities dealer (see Section II.iii), or he or she manages assets of Swiss pension funds (see Section II.iv). That said, asset managers will in all instances qualify as financial intermediaries within the meaning of Article 2(3) of the Swiss Anti-Money Laundering Act (AMLA), and as such be subject to the Swiss regulations against money laundering, which are based on the standards adopted by the Financial Action Task Force on Money Laundering (FATF). In particular, AMLA requires that the relevant financial intermediary registers with and is subject to the supervision of a self-regulatory body recognised by FINMA or by FINMA directly (Article 12(c) AMLA). The duties imposed upon financial intermediaries under AMLA are essentially know-your-customer rules and procedures, as well as certain organisational requirements (e.g., internal controls, documentation and continuing education) (Article 3 et seq. AMLA). In addition, financial intermediaries are required to report suspicious transactions to the regulatory body. Such reporting duty presupposes that the financial intermediary is aware, or has reasonable suspicion, of the criminal origin of the assets involved (Articles 9 and 10 AMLA). In this context, the regulatory body is also entitled to request information from third-party financial intermediaries that appear to be involved in the transaction or business relationship that triggered the reporting by another financial intermediary. Since 1 January 2016, and as per the revised AMLA implementing the revised FATF recommendations, financial intermediaries must implement a two-step process after the reporting of suspicions to the regulatory body. First, they have to monitor the account in question for a period of up to 20 days during the review of the case by the regulatory body (with the aim of blocking any transaction that may result in preventing or complicating the confiscation of the concerned assets). As a second step, if the case is assigned to a criminal prosecutor, the financial intermediaries have to implement a full freeze on the account for up to five days until a decision to maintain the freeze is made by the criminal authority. An immediate freezing of assets is, however, required for assets connected to persons the details of whom were transmitted to the financial intermediary by FINMA, the Federal Gaming Board or a self-regulatory organisation due to a suspicion of such persons being involved with or supporting terroristic activities. Financial intermediaries may incur criminal liability if they fail to comply with these duties. It is worth noting that on 1 June 2018, the Federal Council opened up a consultation procedure on a new revision of AMLA. The purpose of this revision is to reflect the outcome of the latest review of the Swiss AML framework performed by the FATF. Among other things, the draft provides for the extension of due diligence obligations to advisory services related to the setting up, management and administration of offshore companies and trusts, regardless of the absence of any purely financial intermediation activity. The draft further provides for the removal of the 20-day deadline until which the regulatory body is to review the reporting made by the financial intermediary and revert, as the case may be. The consultation procedure is open until 21 September 2018, and is likely to trigger intense discussions in the Parliament. Furthermore, FINMA has defined certain requirements (outlined in FINMA Circular 01/2009) that asset managers are required to comply with in order for such managers and their clients to benefit from certain exemptions under the Collective Investment Schemes Act (CISA) (see Section II.v). The duty to enforce the provisions of FINMA Circular 01/2009 lies with the self-regulatory bodies, which are in turn supervised by FINMA. As a result, it is generally considered that asset managers are only indirectly regulated in Switzerland. FINMA Circular 01/2009 also regulates the third-party inducements (retrocessions) that may be received by asset managers. From a Swiss law perspective, the term 'retrocessions' generally refers to certain forms of fee payments agreed upon between financial intermediaries (e.g., banks, securities dealers, asset managers). Typically, in the field of private wealth management, a custodian bank may pay certain retrocessions to an external asset manager who manages client assets deposited with the custodian bank. The Swiss Supreme Court ruled3 that the distribution fees that the promoter of a financial product pays to the distributor could be characterised as retrocessions, and are therefore subject to the legal regime set out below (for the same topic within the context of the distribution of CISs, see Section II.v). Retrocessions are subject to a statutory restitution duty and are, as a matter of principle, payable to the client of the receiving financial intermediary.4 Nonetheless, an arrangement whereby the client agrees that a financial intermediary may retain retrocessions received from third parties is valid, provided the client was duly informed of the existence and calculation formula of such retrocessions and expressly waived his or her statutory restitution claim. As a result of this case law, a Swiss financial intermediary (such as an asset manager) intending to retain retrocessions received from third parties should ensure that the contractual documentation governing its client relationships meets the requirements set forth by the Swiss Supreme Court. The Swiss Supreme Court further clarified in a recent decision5 that claims based on the above restitution duty are time-barred for 10 years after the receipt by the manager of the inducements in question. This decision brought an end to the debate among Swiss scholars, as well as the legal uncertainties regarding the term and the starting point of the limitation period applicable to restitution claims. The level of information (ex ante disclosure) that needs to be provided to clients is set forth in FINMA Circular 01/2009 and in the guidelines of the relevant professional organisations. Asset managers must typically advise their customers of any conflicts of interest that might arise as a result of accepting third-party inducements. They are to inform their clients of the calculation parameters, as well as of the type of inducements they receive or might receive from third parties. In doing so, the information provided must differentiate between various product classes, insofar as this is possible. Upon a client's request, asset managers must also disclose the amount of third-party inducements already received by them (ex post reporting). Asset managers must also establish a risk profile to cover the client's experience and knowledge in the financial field, risk appetite (subjective criteria) and risk capacity (objective criteria), and set out in their asset management mandate the investment objectives of the client reflecting this risk profile. In the wake of the adoption of the EU Alternative Investment Fund Managers Directive (AIFMD), the CISA has been amended to ensure the euro-compatibility of the Swiss regulatory framework. One of the purposes of the CISA revision was to ensure that Swiss asset managers are in a position to continue to manage the assets of CISs that fall within the ambit of the AIFMD. Pursuant to the CISA, asset managers of both Swiss and non-Swiss CISs must obtain a licence from FINMA. the investors are exclusively group companies. According to the FINMA Ordinance on Collective Investment Schemes, assets whose management is entrusted to third-party managers are to be included in the calculation of the above thresholds. The value of the assets under management is also to be determined for each CIS in light of the valuation rules provided in the legislation of the home jurisdiction of the CIS. The asset manager of a non-Swiss CIS that is exempt under the de minimis rule may, however, opt in and apply for a FINMA licence, provided that its registered office is in Switzerland, and Swiss law or the applicable foreign law requires such regulated status for the management of the assets of the CIS. Further, an agreement in principle was reached in December 2012 with the European Securities and Markets Authority (ESMA), acting on behalf of the national supervisory authorities of the EU Member States, as regards a model cooperation agreement. This agreement with ESMA is to be supplemented by bilateral agreements with each national supervisory authority in the EU and in the European Economic Area. These bilateral agreements entered into force on 22 July 2013. Cooperation includes the exchange of information, cross-border on-site visits and mutual assistance in the enforcement of the respective supervisory laws, namely the AIFMD and the CISA, and covers the activities of Swiss alternative investment fund managers who distribute or manage alternative investment funds in the EU, as well as the European alternative investment fund managers who manage them or distribute them in Switzerland to qualified investors (as defined in the CISA; see Section II.v). In July 2015, ESMA recommended to the EU authorities the extension of the marketing passport under the AIFMD to Switzerland (as a third country). In its final advice of September 2016, ESMA confirmed its position. The latter is to be reviewed by the European Commission, Parliament and Council, which are to make a decision on a political level as to such extension. For the time being, Swiss-based alternative investment fund managers are to rely on the national private placements regimes in each EU country for the purposes of their marketing activities. On 2 December 2016, FINMA and the Securities and Futures Commission of Hong Kong concluded a cooperation agreement that aims to provide reciprocal market access to CIS managers. In accordance with this agreement, regulated Swiss CIS managers may manage CISs distributed to public investors (i.e., retail clients) in Hong Kong, while fund managers in Hong Kong are granted reciprocal rights in Switzerland. Finally, as a consequence of the above-mentioned AMLA revision (see Section II.i), in June 2015, FINMA also revised its Ordinance on Money Laundering (AMLO-FINMA). According to the revised AMLO-FINMA, which entered into force on 1 January 2016, asset managers of foreign CISs benefit now from a certain relaxation of their due diligence requirements. Thus, no identification of the subscriber and the beneficial owner is required in the event that the foreign CIS or its investment management company are subject to adequate supervision in terms of AMLA and counterterrorist financing, and the amount invested by the subscriber does not exceed 25,000 Swiss francs. Depending upon the structure of their activities and of their client relationships, certain Swiss asset managers could fall within the ambit of the Swiss regulatory framework governing securities traders. purchases and sells securities in a professional capacity on the secondary market, either for its own account with the intent of reselling them within a short period of time or for the account of third parties, or makes public offers of securities to the public on the primary market, or creates derivatives and offers them to the public. trading in securities as an agent for clients, and either holding accounts for the clients or holding securities in safe custody for the account of clients, either directly or with third parties (securities dealer operating for the account of clients). Swiss securities dealers are subject to FINMA supervision, and are required to comply with organisational, conduct of business and prudential requirements broadly comparable with those applicable to Swiss banks. As a rule, asset managers or investment advisers that manage the assets of third parties on the basis of powers of attorney (i.e., who are acting as agent) are not characterised as securities dealers for the purpose of the SESTA and are, as things stand, only regulated under AMLA (see Section II.i). Under Swiss law, Swiss pension funds may only appoint as external asset managers financial intermediaries that are subject to official supervision in Switzerland (or abroad). Regulated financial intermediaries such as banks and securities dealers may act as asset managers of Swiss pension funds without being subject to further licensing requirements. By contrast, unregulated asset managers (i.e., independent asset managers) and distributors of CISs under the CISA that intend to manage assets of Swiss pension funds are to secure a licence with the Swiss Supervisory Commission for Pension Funds (Commission). According to the Guidelines issued by the Commission, as revised in March 2017, the above licence has a validity of three years. The above is a temporary solution, inasmuch as independent asset managers will be subject to regulatory supervision in the near future, regardless of whether they manage pension funds, following the enactment of the reform summarised under Section V.
Under the CISA, any offer of or advertisement for a CIS that is not exclusively directed towards regulated financial intermediaries (e.g., banks, insurance companies, securities dealers, fund administration companies, asset managers of CISs and central banks) is construed as distribution for the time being (see also Section V regarding distribution), irrespective of whether it is public or private, and is regulated under the CISA. through the publication of prices, net asset values and tax data by regulated financial intermediaries. FINMA Circular 09/2013 on the distribution of CISs clarifies the concept of distribution and, in particular, the concept of qualified investors (see below). Likewise, the Swiss Funds and Asset Management Association (SFAMA) Guidelines on the distribution of CISs impose certain duties upon distributors and promoters of CISs, and provide for minimum standard provisions to be included in distribution agreements (for further details, see Section II.v, 'SFAMA guidelines on distribution and transparency'. Finally, the Guidelines of the Swiss Bankers Association on protocol requirements under Article 24(3) CISA are also of relevance for the distribution of CISs. Distributors must record in writing the client's needs and document their recommendations made in view of the subscription to a CIS. Although FINMA initially recognised these Guidelines as a minimum standard for a limited period of time, these will, however, continue to apply to all distributors until the entry into force of the future Federal Financial Services Act (FinSA) (see Section V.i). investors who have concluded a written discretionary asset management agreement with a regulated financial intermediary or with an independent asset manager (subject to certain conditions), provided that they do not exercise their right to opt-out of the qualified investors status. FINMA clarifies in its Circular 09/2013 that asset managers may be treated as qualified investors subject to certain conditions, and provided that they undertake in writing that any information or materials in relation to the CIS be solely used for the benefit of qualified investors. Such written undertaking must be obtained from the asset manager before any provision of information on the CIS, as such discussion may otherwise be deemed to constitute an unauthorised distribution activity targeting non-qualified investors. 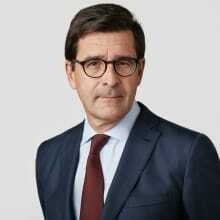 FINMA Circular 09/2013, however, does not address the issue of foreign asset managers. The characterisation of an investor as being qualified has a bearing on the regulatory restrictions applicable to the distribution of interests in non-Swiss CISs. The regulatory situation under the CISA can be summarised as follows. Any Swiss-based financial intermediary that distributes non-Swiss CISs to non-qualified investors must be licensed as a distributor by FINMA. In addition, all distributors involved in the distribution of the CIS to non-qualified investors in Switzerland must enter into a written, Swiss law-governed distribution agreement with the Swiss representative, based on the requirements of the SFAMA Guidelines on distribution of CISs and its template distribution agreement (i.e., a standard distribution agreement). The offering documentation of non-Swiss CISs distributed to qualified investors is not subject to approval by FINMA, but a Swiss representative, as well as a paying agent, must be appointed by the CIS. Any Swiss-based financial intermediary that distributes non-Swiss CISs to qualified investors must be licensed as a distributor by FINMA. By contrast, non-Swiss financial intermediaries that are regulated in their home country may conduct distribution activities in connection with qualified investors, provided the foreign supervision is deemed appropriate by FINMA (i.e., their foreign regulatory status allows them to distribute CISs in their own jurisdiction). This carve-out could, for example, apply to the (regulated) non-Swiss asset manager of a non-Swiss CIS intending to distribute interests to certain qualified investors in Switzerland (without appointing a Swiss distributor). In addition, all distributors involved in the distribution of a CIS to qualified investors in Switzerland must enter into a written standard distribution agreement. The SFAMA has issued Guidelines on the distribution of CISs (Distribution Guidelines), as well as the charging and use of fees and costs (Transparency Guidelines), which specify certain requirements regarding the distribution of CISs and investors' information. These Guidelines have been recognised as a minimum standard by FINMA. As such, they are of general application for all Swiss and non-Swiss market participants. The Distribution Guidelines apply, inter alia, to fund promoters and fund managers. They include mandatory provisions for distributors that are to be incorporated into the distribution agreements concluded between foreign distributors and the Swiss representative of the non-Swiss CIS. In addition, the Guidelines provide for due diligence and information duties both for promoters and distributors of CISs. These include, in relation to distribution to non-qualified investors, the obligation to provide them with objective information on the investment character, opportunities and risks associated with the CIS, by taking into account their experience and knowledge and the complexity of the CIS. The Transparency Guidelines, which apply to distributors and Swiss representatives of non-Swiss CISs, impose duties of information on fees, costs, rebates and retrocessions. In a nutshell, rebates (i.e., any payment by fund managers, SICAVs or their agents directly made to investors that result in a reduction of the fee or cost attributable to the CIS) are allowed to the extent they are based upon objective criteria (e.g., the subscription amount). The criteria and conditions upon which they are granted must be disclosed in the fund documentation in order to enable the investors to verify whether they are entitled to benefit from such rebates. Likewise, retrocessions paid to distributors and advisers are allowed but are subject to disclosure requirements (see also Section II.i). They are to be disclosed in the fund documentation and must specify for which services they are paid. In addition, the recipient of the retrocessions is subject to specific disclosure duties. He or she must spontaneously inform the investor on the amount of the compensation that he or she receives for distribution by giving the calculation parameters or the spread of these inducements. Upon the investor's request, the recipient is to further disclose the amount actually received. Finally, the recipient is to indicate the existence and nature of any conflicts of interest that are or may be triggered by the payment of retrocessions. The above disclosure requirements are reflected in the SFAMA's template notice to Swiss investors to be included in the documentation of foreign CIS guidelines. From a Swiss legal perspective, asset management services can be rendered either on the basis of a power of attorney that the client grants to the asset manager in relation to assets deposited with a bank (managed account) or through an investment, by the client, in interests or shares of a CIS. the Swiss limited partnership (Swiss LP). The main characteristics of these legal institutions are set out below. One common requirement is for the Swiss CIS to have substance in Switzerland. The Swiss contractual investment fund is a contractual pool of assets constituted for purposes of common investment, which is separately administered by a licensed fund administration company. The fund administration company, acting on behalf of the investors, deposits the assets of the investment fund with a custodian bank. This legal institution is the most commonly used structure in the Swiss asset management industry. The Swiss SICAV is a special corporate vehicle governed by the CISA and subject to the supervision of FINMA. The Swiss SICAV's corporate purpose is limited to the collective management of its own assets. Unlike a licensed fund administration company, a SICAV may not perform other activities or services, even ancillary ones such as the management of third-party assets. The Swiss SICAV is in many respects based on the model of the Luxembourg SICAV. The CISA distinguishes between self-managed and externally managed SICAVs. The relevant criterion is to determine whether the SICAV performs its own administration, or whether such administration is delegated to a licensed fund administration company. The Swiss SICAV has two types of shares: investor shares and promoter shares. The SICAV is thus composed of at least two segregated sub-funds, corresponding to the contributions of the investors and the promoter, respectively. Both types of shares have, as a rule, the same rights and obligations: votes are based on the principle of one share, one vote, there are no restrictions for a holder of one category of shares to hold also shares of the other category, and the creation of preference shares is expressly prohibited. There are important exceptions to the principle of equal treatment among the shareholders. The obligation to provide for the minimum capital contribution, as well as the duty to maintain the required capital adequacy requirements for self-managed SICAVs, rest only upon the holders of promoter shares who have the exclusive competence to resolve on the dissolution of the SICAV, to close a sub-fund and to request FINMA to liquidate the SICAV for cause. SICAVs are required to keep a register of the ultimate beneficial owners (i.e., individuals owing more than 25 per cent of the company's shares or voting rights) of its unlisted promoter shares. In parallel, holders of those shares are subject to a reporting obligation towards the SICAV. They are to disclose the name and the address of the ultimate beneficial owners in the event that their participation reaches or exceeds 25 per cent. Breach of this reporting requirement may trigger restrictions or the cancellation of the economic and voting rights related to the investment. The SICAF is a Swiss company limited by shares whose corporate purpose is limited to the management of its own assets. The SICAF is not allowed to pursue any entrepreneurial activity. The SICAF is a closed-ended investment scheme, meaning that the investors do not benefit from a redemption (i.e., exit) right. The regulatory framework set forth in the CISA as regards the SICAF is rather limited. The SICAF is substantially governed by the provisions of the Swiss Code of Obligations that are applicable to regular companies limited by shares (including the disclosure requirements as regards holders of bearer shares and ultimate beneficial owners (see Section III.ii). In this context, a SICAF is not subject to the CISA if its shares are listed on a stock exchange or if its shareholders are exclusively qualified investors (see Section II.v) and its shares are registered shares. To our knowledge, all Swiss SICAFs have so far relied on this regulatory safe harbour. As a result, there is currently no Swiss SICAF that is regulated by FINMA. The Swiss LP is a CIS that is aimed at private equity, alternative investments and real estate projects, and that has been designed to mirror the legal form of certain offshore limited partnership structures. The Swiss LP is subject to the supervision of FINMA. Swiss LPs are closed-ended investment schemes, meaning that the investors do not benefit from a redemption (i.e., exit) right. Swiss LPs are managed by one or more general partners (GPs) with unlimited liability for the commitments of a Swiss LP. The GP may delegate certain tasks to third parties to the extent such delegation is in the best interest of the Swiss LP. 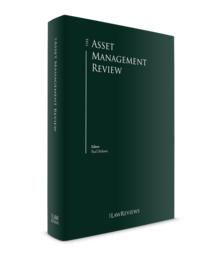 The asset management function may, however, only be delegated to a regulated asset manager of a Swiss CIS. The investors in a Swiss LP are the limited partners. They may not be involved in the management of the Swiss LP, which is the exclusive competence of the GP. That said, the limited partners benefit from information rights and certain governance rights, such as the delivery of periodic financial information, as well as information on the financial accounts. The Swiss LP is only open to qualified investors (see Section II.v). The partnership agreement of the Swiss LP sets out the key rules that apply among the GP and the limited partners. 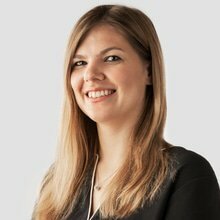 Swiss law allows a significant freedom to the parties in the regulation of their relationship in the partnership agreement, subject to a limited set of contractual provisions that are required as a matter of law. The Swiss asset management industry is heavily reliant upon the assets deposited with Swiss banking institutions. According to figures published by the Swiss Bankers Association in its 2017 Banking Barometer Report, the aggregate amount of assets under management held by Swiss banks amounted to over 6.871 billion Swiss francs at the end of May 2017. This total is divided equally between assets held by Swiss-based and non-Swiss based clients. According to SFAMA, the Swiss CIS market was valued at 1.117 billion Swiss francs in May 2018. The protection of investment advisory and asset managers' clients has been at the top of the Swiss regulator's agenda for several years now, and will be one of the most important legislative projects in the financial services sector for the year to come. To ensure better protection of investors, the Swiss authorities have launched a revision of the regulatory framework applicable to the provision of financial services. In November 2015, the Federal Council published two new drafts: the FinSA and the Financial Institutions Act (FinIA). The FinSA deals with the relationship between the financial intermediary and investors, and essentially provides for rules of conduct aiming at protecting investors upon the provision, upon a professional basis, of financial services or financial instruments in Switzerland. Those rules are primarily based on the EU's MiFID regulations. By contrast, the FinIA includes provisions concerning the relationship between the financial intermediary and the regulatory authority, and imposes general licensing and organisational requirements, irrespective of the authorisation regime. During debates in the Parliament, the draft FinSA and FinIA initially submitted by the Federal Council were subject to intense discussions, and were amended in various respects. On 15 June 2018, the Parliament finally agreed on all provisions of the FinSA and the FinIA. The new legislation is now considered as final, subject to a potential referendum. Its expected date of entry into force is currently 1 January 2020. The drafts of the implementing ordinances of both acts will be subject to a consultation procedure that will take place by the end of 2018. According to the FinIA, independent asset managers, as well as trustees, who are currently not subject to prudential supervision, will be newly supervised. They will be directly subject to FINMA general supervision (including for the authorisation process and enforcement proceedings). That being said, their day-to-day supervision will be entrusted to supervisory organisations approved and monitored by FINMA. Further, the FinIA will provide for specific governance requirements for independent asset managers and trustees whose gross revenues exceed certain thresholds. As regards managers of pension funds, they will require a permanent licence under the FinIA (see also Section II. iv). By contrast, distributors of CISs will no longer be subject to licensing requirements. The FinSA will implement a new regime that aims to strengthen client protection by means of transparency provisions, reflecting the requirements provided for in MiFID II. In this context, financial services providers will have to perform an assessment of appropriateness of investment advice in the context of advisory or discretionary asset management services. By contrast, an assessment of suitability will be required when providing investment advice on their entire portfolio. Furthermore, the FinSA will introduce client segmentation with three main segments (i.e., retail clients, professional clients and institutional clients). It is worth noting that the concept of qualified investors under the CISA will not be abolished and will remain relevant in the context of assessing whether a specific CIS can be offered. By contrast, the concept of distribution will be replaced by the concept of 'offer', which will be clarified in the implementing ordinances currently in preparation. The provisions on the various duties of financial services providers, as well as on the offered financial products, will be tailored to the need to protect the respective client segment. The FinSA will further provide for a regime for opting-in and opting-out across the three client segments (subject to certain conditions). Finally, the FinSA will introduce the obligation for individual client advisers who are not employed by a regulated financial institution to register in a specific register. Client advisers of foreign financial services providers could benefit from exemptions, namely if they provide their services in Switzerland exclusively to professional clients. On the specific topic of retrocessions, it is expected that these will be allowed as a matter of principle, subject to complying with the current transparency regime. The principles laid down in Swiss case law and FINMA Circular 01/2009 (see Section II.i) will also be crystallised in the FinSA. Another topic of current interest is the recent implementation of the automatic exchange of information, and in particular, its practical implications in the asset management field. The introduction of the automatic exchange of information constitutes a complete change of paradigm in Switzerland, where banking secrecy does not allow the disclosure of any information outside the bank–client relationship (subject to certain exceptions). The impact of this significant change on the cross-border asset management industry in Switzerland, which represents a market share of more than 25 per cent at the international level, is difficult to assess for the time being. Switzerland levies taxes at three different levels: the federal, cantonal and municipal levels. As a matter of principle, Swiss CISs are not liable to income and capital taxes. Taxation does not take place at the level of the CIS, but usually directly targets (Swiss-resident) investors (see Section VI.iii), provided the CIS is deemed transparent for tax purposes. The taxation of CISs in Switzerland largely depends upon the legal structure under the CISA. Open-ended CISs, such as the contractual investment fund and the SICAV, are not considered to be entities subject to Swiss corporate income tax in their own right. In conformity with the principle outlined above, taxation is applied directly to investors according to their country of tax residence. The same regime is applicable to the Swiss LP. There are two exceptions to these general taxation principles: CISs owning real estate are taxed as corporations on the portion of their income that is directly derived from real estate; and a SICAF is subject to Swiss corporate income tax as it is treated as a separate taxpayer under Swiss tax law. All income that is distributed by these CISs is subject to a withholding tax of 35 per cent, which is entirely or partially recoverable by the investor (as regards investors based outside of Switzerland, the reimbursement of the withholding tax depends upon the provisions of the applicable double tax treaty). Exceptions to this general principle are possible. For example, a distribution of net capital gains realised by a CIS is exempted provided that these capital gains are clearly separated from the income. Fund administration companies are considered as taxpayers in their own right, as they are incorporated as a corporation. They are subject to corporate income tax as any other legal entity. Management and distribution services provided by such companies to Swiss and non-Swiss CISs remain generally exempt from Swiss value added tax. Swiss-resident investors of CISs that are transparent for tax purposes will be taxed on their share of fund income. This taxation principle will depend upon the structure of the fund (i.e., distributing or growth) and the income received (i.e., capital gains or other ordinary income realised by the CIS). Capital gains attributable to private investors are normally exempted provided that they are distributed with a separate coupon or that they are separately booked in the accounts of the CIS. Stamp duty is due on the transfer of securities, including interests in CISs, provided that the transaction involves a Swiss securities dealer for stamp duty purposes acting as a broker or as a counterparty. Many exemptions may apply in specific cases: for example, Swiss or non-Swiss CISs qualify as exempt investors for stamp duty purposes. Accordingly, transactions involving Swiss or non-Swiss CISs acting as purchasers or sellers of taxable securities normally trigger a reduced stamp duty liability. Swiss asset managers usually qualify as Swiss securities dealers for stamp duty purposes, and may in practice delegate most of their obligations in relation to stamp duty to other Swiss securities dealers. Swiss stamp duty rules nonetheless involve specific compliance requirements, such as a duty to register with the Swiss tax authorities. place at the international level, Switzerland's asset management industry is in the process of adjusting its remuneration structure to be less reliant on retrocessions. Nevertheless, contrary to the situation prevailing in certain European countries, the Swiss legislative and regulatory perspective should remain not a prohibition of retrocessions but rather one of enhanced transparency. 1 Shelby R du Pasquier is a partner and Maria Chiriaeva is a senior associate at Lenz & Staehelin. 2 Certain professional organisations also limit the level of compensation of asset managers. For instance, the Code of Conduct issued by the Swiss Association of Asset Managers sets out a maximum amount of management fees corresponding to 1.5 per cent per year calculated on the basis of the net asset value of managed assets, or performance fees of a maximum of 20 per cent of the net capital increase (i.e., the increase in value taking into account deposits and withdrawals in addition to any unrealised losses). If both above-mentioned systems of fees are combined, management fees are capped at 1 per cent per year, and the performance fees to a maximum of 10 per cent. 3 Decision of the Swiss Supreme Court of 30 October 2012 and published in the Official Court Reporter under No. ATF 138 III 755. 4 Decision of the Swiss Supreme Court of 22 March 2006 and published in the Official Court Reporter under No. ATF 132 III 460 (confirmed in subsequent decisions). 5 Decision of the Swiss Supreme Court of 16 June 2017 and published in the Official Court Reporter under No. ATF 143 III 348. 6 In August 2015, FINMA entered into such cooperation agreement with the Jersey Financial Services Commission. 8 To date, Switzerland has implemented automatic exchange of information with 38 partner states and territories, including the EU.